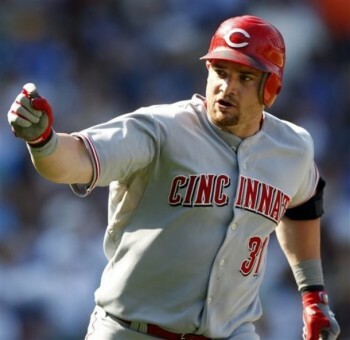 Adam Dunn: 2012 American League Comeback Player of the Year? John Burns: What a comeback season it has been for Adam Dunn so far, as he leads all of baseball with 23 homers… and it’s not even July yet. Sam Evans: Oakland Athletics prospect Michael Choice was drafted by the A’s 10th overall in the 2010 MLB Amateur draft. Looking back at the pick, most of the players drafted before Choice have risen quicker through their respective systems, but Choice still looks like a nice selection by Billy Beane and his scouting department. Michael Choice has 70 grade power, so even though his tools are raw, it’s hard not to like a future All-Star. Michael Choice was born in 1989 in Forth Worth, Texas. Being a young Texan outfielder with power projection, it must be pretty difficult to go unnoticed out high school. Nonetheless, Choice was under the radar coming out of high school and he eventually ended up at the University of Texas-Arlington. At Texas-Arlington, Choice began to turn some heads. In three college seasons, or 175 games, Choice hit thirty-four homers and had a batting average over .375 in all three years. His junior year at Texas-Arlington, in 2010, Choice drew seventy-six walks and he only struck out fifty-four times. MLB reports: As many of you know from my past articles and tweets, the one quality I look for the most in hitters is patience: the ability to take walks. The art of the base on balls was exemplified somewhat in the “moneyball” Oakland approach and has been adopted by the Red Sox team in particular, among others. People often ask me why I value hitters that take walks so highly. Very simply, walks in my mind lead often to the overall development of every facet of a hitters game. A hitter that has good judgement of the strike zone and take walks should get on base at a high rate. A hitter that takes many walks is more likely to judge better pitches to hit, which should increase their number of hits and home runs correspondingly. When I used to play fantasy baseball, I often looked for batters with high walk totals in filling out my rosters. These hitters would win championships for me, as they do often for baseball teams in real life. Patient hitters have a high value in baseball, this has become a fact of life. Putting this theory to the test, let’s take a look at which batters sit among the leader board in walks as of today. It will be interesting to see which of these players are considered top players, historically and coming into their own as of today. Has the number of walks taken this year helped each player in other statistical categories? Are each of these players better hitters for having many walks? The results may surprise you. Last year 100 walks went hand-in-hand with a league leading 54 home runs. This year, Bautista leads the league with 19 walks and 8 home runs. For a man who hit .260 last year, the high walk has remained while the average has jumped to a league leading .364. Interesting to note, none of Batista’s walks have been intentional. Bautista for me is the poster boy of how patience and power are inter-twined. You almost cannot have one without the other. For anyone that doubts the value of walks, go look up Bautista’s stats again…they will astound you. Bobby Abreu, along with Youkilis, Adam Dunn and Swisher, is a resident in the patience club. With 1,360 career walks, Abreu always brings on-base capabilities for any team he plays for. Long seen as having declining power, Abreu still hit a decent 20 home runs last year. Combined with his 87 walks, Abreu managed a .352 OBP despite a .255 AVG. This year, with a puny one home run and .244 AVG, Abreu is sitting at an unacceptable .329 SLG. But with a .388 OBP, the 37-year-old Abreu still has some value. In his prime, Abreu showed that 100+ walks and a .300+ AVG could lead to 40+ home runs in a season. But Abreu, the elder of the list, only has walks to show for any value left in his tank and is likely dependant on those walks for still receiving any playing time at all. The end is near, but the walks continue. As a rookie, I read that Dusty Baker told Joey Votto that he should becoming more free-swinging and less patient to develop as a hitter. 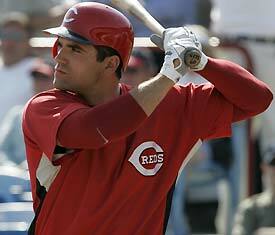 Fortunately for Votto and all Reds fans, the Canadian ignored the advice and continued to grow as a hitter….his way. Last year Votto had 91 walks, which translated to 37 home runs and a league leading .400 OBP and .600 SLG. Hitting .324 along the way, Votto was intentionally walked eight times. Votto fits the bill perfectly- a hitter that picks his spots, waits for the right pitches to hit and avoids the bad ones to get on base. This year, votto has 18 walks to only 11 strike outs. The knock on some patient hitters is that they take too many called third strikes and often hit for low averages. As part of the core of this top list, Votto is able to not only hit many home runs but keep his average steady to high in the process. Many experts see Votto as having surpassed Albert Pujols as the king of the NL. Based on his numbers-to-date, I have a hard time arguing. Votto’s bread and butter has been his eye at the plate. 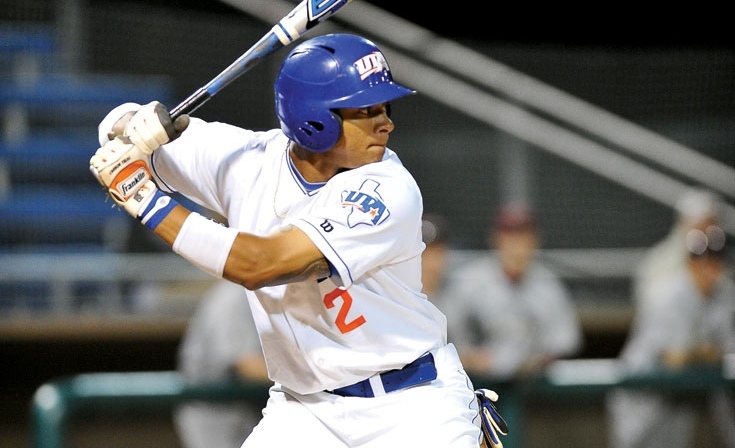 The 2010 MVP and runner-up 2008 ROY can thank his walks for much of his success in baseball. The fourth member of our list is the only real head scratcher in the bunch. While all the other listed hitters are known “walkers”, Gomes has basically come out of nowhere to join the group this year. With a career high of 61 walks in 2006 being far and away his highest season total, few people envisioned Jonny Gomes learning true patience at the age of 30. Perhaps spending time with Votto has helped his transition. But then, his .211 AVG would seem to indicate that he might not be fully paying attention in emulating Votto. At a season total of six home runs, Gomes is on pace to set a career high of 35 home runs. But looking at the full numbers, Gomes is the outlier. Hitting in the standard Nick Swisher mold, Gomes has compensated base hits for walks. With his 18 walks has come 23 strikeouts…which shows that he is missing as many pitches as he is taking. It is not a bad thing that Gomes is taking many walks, but unfortunately he is swinging for the fences and striking out at a Rob Deer frequency with too few base hits. Gomes may continue the walks, but without a steadier number of base hits to match, he may not be as productive as one may think. Seemingly playing forever, the 25-year-old is entering his 5th season in the bigs. With a .368 career OBP and 110 walks last year (leading the AL), Barton is patience personified. The only knock on Barton has been his low batting average and power. 2011 has done nothing to calm those fears, as Barton is hitting .205 with zero home runs. Along with Gomes, Barton is sacrificing base hits for walks, but not seeing the tangible results that should come along with them. Well…at least Gomes is hitting home runs, I really can’t see what value Barton has other than walks. With ten home runs, Barton is slowly becoming another Travis Buck. As Barton continues to keep first base warm for Chris Carter, I am sad to see that his patience at the plate never translated to greater things for him offensively. Judging on his 17/20 BB/K ratio, Barton clearly is either not patient enough or judging the right pitches to hit. Based on this slow start, it appears the one-time A’s prospect has graduated into a full-fledged suspect. One of my favorite hitters in the game, I always wondered what levels he could reach if he could take more walks. Always known for a solid average and home run bat, the answer to my question started to be answered last year. 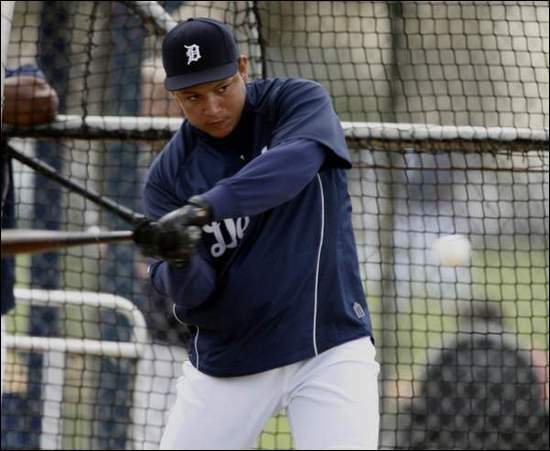 Cabrera set a career high with 89 walks last year and had correspondingly a career high 38 home runs. This year, with a 17/12 BB/K ratio, Cabrera has already five home runs, to go with his .338 AVG, .458 OBP and .610 SLG. These are really…really…really good numbers. Finishing second last year in MVP, the re-born Cabrera has become everything I could have imagined as a hitter. Together with Bautista in the AL and Joey Votto in NL, we are looking at three of the most complete hitters in the game. Taking many walks, hitting many home runs, hitting for a high average and not striking out a ton. Patience at the plate, waiting for the right pitches to hit and taking advantage of those pitches. Hitting perfection. No conversation on walks is complete without including the Greek God of Walks himself, Kevin Youkilis. A .292 career hitter with a lifetime .394 OBP and .497 SLG, Youk fit the mold of the perfect hitter as I discussed above. But something has happened to Youk in 2011. Despite his high walks and decent number of home runs (4), his average sits at .222. Considering that Youk has hit .300+ the last three seasons, I do not expect a huge regression at the age of 32. As long as he stays healthy, Youk should be at .290, .390 and 25 home runs. That’s just how steady Youk is. But given his career low average this year, I actually suspect there may be an injury concern. I do not see Youk turning into Jonny Gomes overnight. Everything seems to even out in the long run and over the course of the season, the real Youk should emerge. Walks will always be there, but the rest of the game should follow as well. But even if he remains slumping, as Bobby Abreu and Daric Barton have shown, at least taking walks brings some contribution to the table. But unlike those two, at least Youk can still swing a power stick. Walks truly begin and end with Youk. 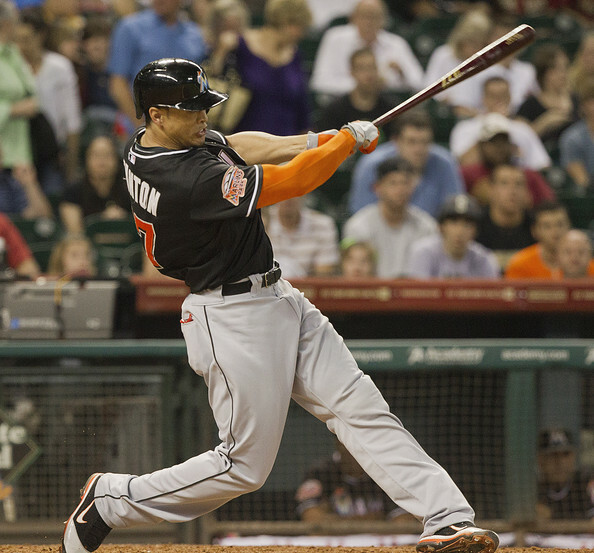 Thank you for reading today’s feature on walks and the hitters who take them. While we all have theories on the subject, think of all the best all around hitters of all time and take a look at their walk totals. While there may have been many home run kings with low averages or hit kings with poor power, take a look at the best all around hitters and see how many times they walked. Then tell me what you think about the value of the combination of power and patience and if you now subscribe to this theory. I certainly hope that you do.